As anyone who has read my reviews knows, I tend to be very sparing when handing out 9/10s or 10/10s. While mainstream outlets tend to hand them out like penny candy when a game is promoted enough, I make games (and films, for that matter) work for those grades. I have it so that when a work earns a passing grade, even if it’s a 7/10, it’s a cause for celebration. With me having awarded no 10/10s in this block of 50 reviews, all we have left to discuss are the ones I awarded a 9/10. These are the games I point towards when talking about the hallmarks of a given era or decade, so if you’ve haven’t played them, check them out right away. Yoshi’s Island stands above not only its follow-ups, but any of the 2D Mario games due to its excellent level design, inventive gameplay, and memorable boss fights. Speaking of which, the Yoshi subseries is quite a bit different from Nintendo’s other big-name franchises. While Mario was consistently good and Fire Emblem and The Legend of Zelda had their ups and downs over the years, the Yoshi subseries had an incredible debut installment, achieving a level of quality none of its follow-ups were able to match. 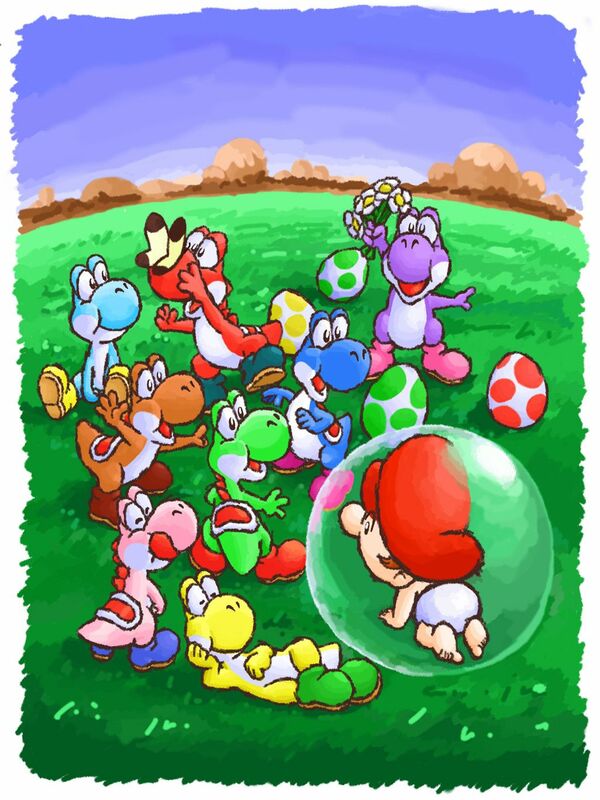 The problem is that any later game would either attempt to be “like Yoshi’s Island, except not” or would become overly gimmicky such was the case with Yoshi’s Story or Yoshi Topsy-Turvy. Though each individual Nintendo fan may come up with a different reason as to why later Yoshi games couldn’t serve as a worthy successor to the one that started it all, I personally feel that Yoshi’s Island is a little like Uncharted 2. What I mean is that Yoshi’s Island managed to be good in so many unique ways from its art design to its self-contained scenario that it would be nearly impossible to create a straight sequel without it being stuck in this game’s shadow. It’s the kind of masterpiece that really could have only been released in 1995 when 2D games had reached their peak and the designers of which were firing on all cylinders. Any later attempt to recreate what made this game so good only grasped that these ideas worked so well without really pondering why they worked. In fact, the means to make a game this good in this specific way may be forever lost, and that’s perfectly fine because it means later creators must find new ways to make masterpieces. When I started writing game reviews, I always felt that game critics should strive to be on the level of their film-loving counterparts. As of this writing, I no longer want that to be true. In fact, I believe these two critical circles to have the exact opposite problems as one another. One can theoretically count on a film critic to review indie films and big-budget Hollywood productions as though they’re on equal footing, yet in practice, they tend to favor the former for good or for ill. Meanwhile, game critics are so close to the big-name developers themselves that one can count on them to regularly overlook indie titles. The only meaningful exceptions arise whenever the indie game in question is somehow making a lot of waves upon release, which, in the scene’s earliest days, was often accomplished by the creators going out of their way to touch as many raw nerves as possible. Now, what does any of this have to do with OneShot? The answer is simple. While film critics have their own set of problems, if a film as innovative as OneShot appeared, they wouldn’t have let it fall by the wayside the way game critics did (assuming it wasn’t subject to the “hey, we were wrong to bash this work; it’s a masterpiece now” clause). It’s not all doom and gloom, for I can say this ties into the one of the biggest advantages gamers have over cinephiles. While I find the latter tend not to stray far from their comfort zone, a significant faction of gamers will latch onto something innovative when push comes to shove. Indeed, they were far more responsible for Undertale becoming the sleeper hit of 2015 than the press, who likely would’ve ignored it had it not been for its memetic spread. The same principle applies to OneShot, albeit to a quieter effect. Someone writing for Polygon believed Gone Home to belong to a master class of affecting storytelling. I feel that person should’ve waited three years for OneShot to come out before writing that because it is far more worthy of that description. Though its gameplay is minimalistic, it beats Gone Home or any given walking simulator handily because it’s not ashamed about what it is. 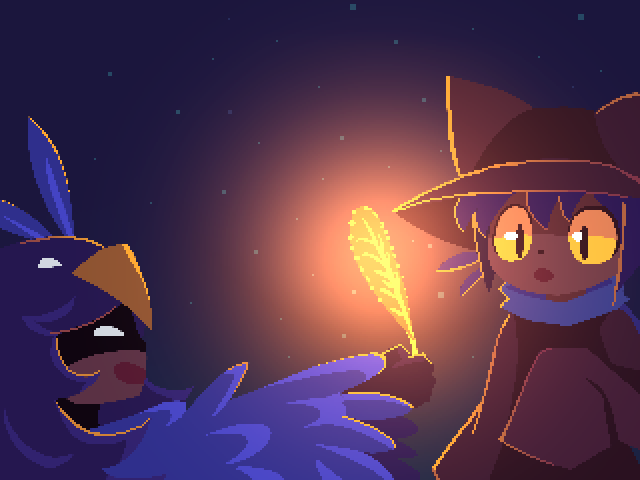 OneShot bends the medium in ways few artists dared dream, and it’s much more forward-looking as a storytelling experience than almost anything the Western AAA industry issued in the 2010s (or even the 2010s film industry, for that matter). The Wind Waker and Twilight Princess are fascinating case studies when trying to parse their receptions. Fans were dreading the release of The Wind Waker only for it to be retroactively declared a masterpiece when said fans realized they were betting against the house. Meanwhile, they were looking forward to the release of Twilight Princess, believing it to be the return to form the series needed. Now, The Wind Waker is popularly considered the better of the two games whereas Twilight Princess is often dismissed as Ocarina of Time 2.0. Personally, I feel it’s an unfair assessment because there’s quite a lot more to it than that. Yes, speaking in retrospect, I can see a lot of what made Skyward Sword so tedious in Twilight Princess, a lot of dungeon items are useless outside of the areas in which they’re found, and one could make an argument that the dungeon design is less exploratory than that of The Wind Waker. 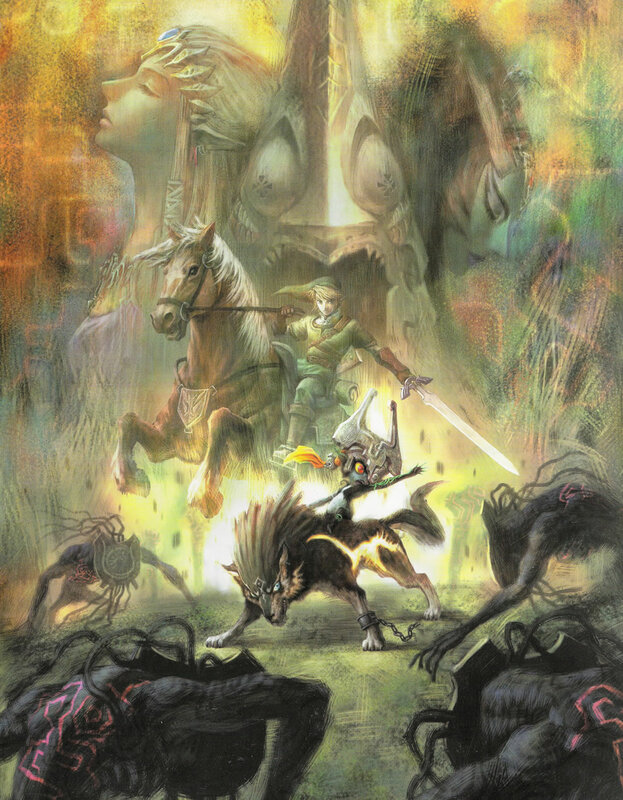 However, I don’t think any of this matters in the end because Twilight Princess is a well-made game that has one of the series’ most creative scenarios on top of a solid dungeon design that impresses even to this day. Also, Midna. Fans may be divided on its quality, but I feel it managed to surpass the admittedly still superb Ocarina of Time. One of the most intriguing things I learned when researching this game’s development process was that the writing staff spent five days and four nights in a place called the Capcom Manor to work on the game and brainstorm plot points. It turns out they took cues from the famed filmmaker Akira Kurosawa, who would similarly gather writers in a hotel room to write scripts. 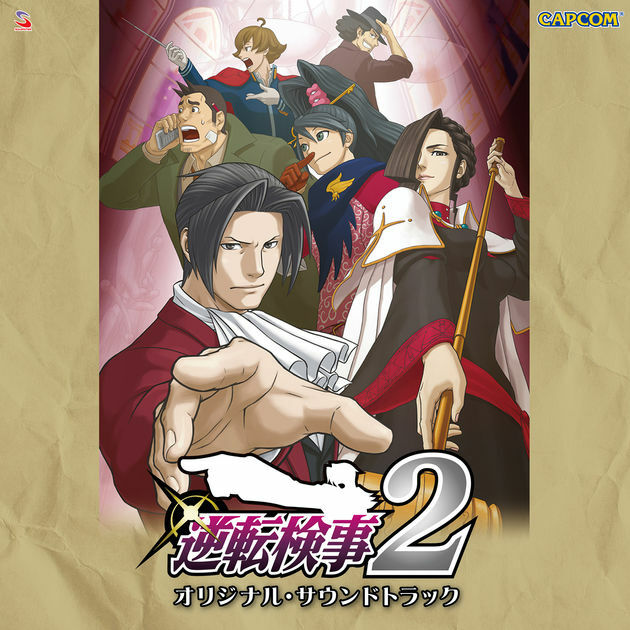 Because of this, one prevailing thought was going through my head as I wrote this review: “were Eshiro and Yamazaki channeling him as they made this game?” Every Ace Attorney game before Prosecutor’s Path had interesting story beats, but never before had they complemented each other this well. There’s not a trace of fluff or filler to be found; every new episode successfully builds off the one that preceded it, forming a memorable story with incredible twists and a strong cast. Spirit of Justice was a great game itself, but Prosecutor’s Path is in a league of its own, being one of the greatest story-heavy games ever made. I can also say that, as of this writing, it is bar-none my favorite Japan-exclusive game, managing to defeat the flawed-but-still-great Fire Emblem: Genealogy of the Holy War. Part of what made the meme-laden writing of Tri Force Heroes or the meme-spewing Ghirahim in Skyward Sword so disappointing is the knowledge that Nintendo doesn’t need to do any of that to be good. In hindsight, they come across as attempts on Nintendo’s part to try to be cool. In reality, they’ve never been cool. This assertion was proven when enthusiasts began flocking towards Sonic the Hedgehog in 1991. Sonic the Hedgehog was undeniably cool – early nineties cool, specifically – and the way his debut game overshadowed Super Mario World would set the tone for how Nintendo’s games would be received from that point onward. Their experimental titles would get ignored only for fans to realize they passed up gems and retroactively declare them to be masterpieces. Even back when they were the only game in town, they really stood out like a sore thumb when you compare their work to other facets of eighties culture. So having established that Nintendo has never been cool, I can say that there is absolutely no problem with that. Nintendo has always been about being fun, not cool, which allows their work to transcend the eras in which they debuted. This brings us to Breath of the Wild. By the 2010s, Nintendo had a fair share of detractors – particularly among the independent critics at the time. As such, it was commonly insinuated that a Nintendo game receiving any kind of significant acclaim was the result of critics refusing to take off their nostalgia goggles. However, I would have to argue that gamers favoring cool over fun wasn’t a problem limited to fans, but also critics. With critics having to hype the latest trendy AAA release as a perfect experience, they often shot themselves in the foot when the next one was somehow even more perfect. Consequently, by 2017, I realized that the overwhelming critical acclaim Nintendo games got were some of the only consensuses I could blindly trust. Because Nintendo seemed to go out of their way to defy the cultural trends at the time and deliver experiences that were fun above all else, I knew they didn’t earn those accolades by fitting in with what was popular at the time. This brings us to Breath of the Wild. It is easily one of the most beautiful games I’ve ever played – not only in a visual sense, but a meta one as well. Hidemaro Fujibayashi and Eiji Aonuma managed to explore the open-world design in ways few Western developers had never considered. The result is that even when I, and many others, were feeling the effects of open-world burnout thanks to the Western AAA industry deciding that “linearity = bad”, Breath of the Wild still managed to deliver an experience that felt completely fresh. The team behind this game should be proud; they took everything that made the original The Legend of Zelda so memorable in 1986 and passed that feeling onto a new generation of enthusiasts in 2017. As one of the best games I’ve ever played, it’s the perfect choice to round out this list. And that’s that! With me having ranked the 51 games I’ve reviewed between Majora’s Mask and now, here’s how they fare compared to the first 100 games I talked about. New and revised entries are bolded. Full disclosure: Since my last milestone post, some of my opinions have changed slightly. Though I don’t remember all of the scoring changes I’ve made since then, I will list some of the more notable ones. My stance when it came to works with weak endings has changed slightly. The highest score such a work can receive is a 5/10 as opposed to a 6/10. I made this change because a 6/10 is still a work I can ultimately recommend when push comes to shove, and a work with a terrible ending is a difficult proposition no matter how good it may have been beforehand. Accordingly, games such as System Shock 2, Link’s Awakening, and Metal Gear Solid V have been dropped to that tier. Though Metroid Prime 3 remains my favorite Metroid game as of this writing, I reduced to a 9/10 because I feel in hindsight it’s not quite that once-in-a-lifetime achievement that warrants a 10/10. The original Uncharted was reduced to a 4/10 because it feels too prototypical compared to its sequels. Seeing Raiders of the Lost Ark for the first time demonstrated to me how Uncharted 2 falls short of capturing its essence. It’s still good, but I reduced it to a 7/10. Uncharted 3 was reduced to a 5/10 because I couldn’t come up with a metric that declares it a superior effort to System Shock 2. Because I feel BioShock Infinite is slightly better than the original Modern Warfare, the latter score was dropped to a 7/10 as well. Though Planescape: Torment is still a 10/10, I now consider Undertale the superior effort because it is more in tune with the medium when it comes to delivering its narrative. Even if it had more of an excuse than most cases, I probably wouldn’t award a game a passing grade if its cutscenes were as long as those of Metal Gear Solid 4. As such, it was dropped to a 6/10. And for those who have been reading all this time, yes, I still maintain a spreadsheet of the games I’ve reviewed. This includes how many times I’ve awarded each grade and the decades in which each game originated. We’re now headed into the last month of 2018, and I’ve been working on a new game review as usual. Given that it will be my 151st review, I thought it appropriate to talk about a game in which the number 151 is particularly important. I wish to thank you all once again for your continued support! ← 150th Review Special, Part 3: Green Means Go! By the way, have you checked out any of these games? If so, what did you think of them? Of this final list, I’ve only played the two Zelda titles. I don’t remember a ton about Twilight Princess because I binged it very quickly, but I love Breath of the Wild to death! It’s easily my favorite of the franchise (not that I don’t enjoy the others for their own individual strengths). I was originally going to declare Twilight Princess the superior effort, but when I began summing it on paper, I realized Breath of the Wild edges it out. It’s my second-favorite game in the series behind Majora’s Mask. If you get a chance, I highly recommend the other three games. 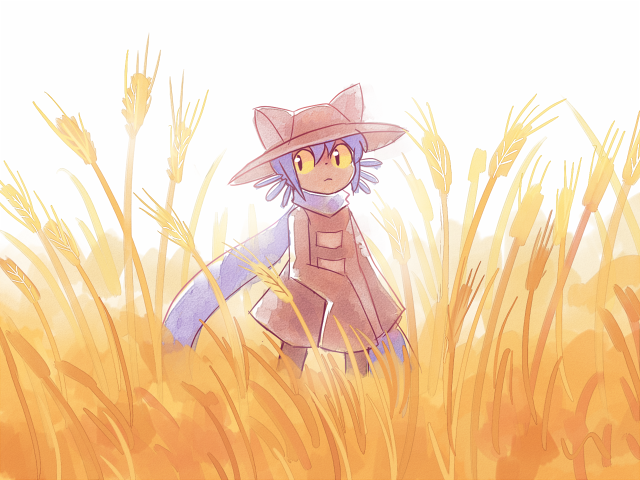 OneShot in particular is a game I feel doesn’t get enough credit. I’ll see if I can make it happen. I know I already have SMW2: Yoshi’s Island on my SNES Classic, so that’ll be an easy one! And OneShot can be found on Steam. The only tricky one will be Prosecutor’s Path, which is a Japan-exclusive game that depends on you having played the entire Ace Attorney series up until that point. Luckily, there is a fan translation. If that’s the case, I’d say this is an opportune moment to expand your horizons. I myself don’t use Steam that often, and I could recommend it to those who don’t otherwise use it. Sometimes the fanbase can really ruin a game. That’s why I try not to read reviews. or learn anything about the game, especially if I’m interested in playing it. Typically, I read reviews after I play the game. I finally purchased Undertale, although honestly I would have never picked it up if it weren’t for so many people out there praising it, including yourself. I have to say I don’t fully agree. Granted, I’m saying this entirely because I don’t participate in any fandoms, so I can understand the sentiment. Still, I feel that, at the end of the day, you shouldn’t let noisy fans ruin your enjoyment of something you like; the exact second you do, you’re letting them dictate what you do, and that’s not a right they deserve. Having said that, this is precisely why I review games that are well received. You see, at first, I thought it pointless to contribute a review that agrees with the mass consensus. Therefore, my early reviews came in two flavors A) positive reviews of obscure games and B) negative/mixed reviewed of mainstream ones. Now that I know that neither critics nor fans are wholly infallible, I realize the importance of reviewing pretty much everything I come across; even if it agrees with the majority. And I have to say that if my writings got you interested in playing Undertale, then this is exactly why I write these reviews; sometimes, you need somebody who has no stakes in the work being good or bad to charge into a critically acclaimed work head-on and report whether or not it lives up to the hype. I already left an unnecessarily long response to your comment on my site and – sorry to bring things down – I’m going through a rough emotional time right now, so I’ll try to keep my comments brief. But because I like your writing so much I feel obligated to comment. I agree, no Yoshi sequel has matched up to Yoshi’s Island (admittedly not a small feat). But, I feel that Yoshi’s Wooly World on Wii U was its first worthy sequel. One of the more underrated Nintendo games in history, as its reviews often seemed to dismiss it because it wasn’t as good as Yoshi’s Island, instead of recognizing how much of an improvement it was over pretty much every other Yoshi game released in between. Also, I still highly recommend DKC Tropical Freeze. The only modern 2D platformer that stacks up to the likes of DKC2 and Yoshi’s Island. In fact, in a weird way, it’s kind of become the game in which my entire rating system revolves. Obviously I didn’t quite give it a 10 (though perhaps in hindsight I should, seeing as it’s become an all-time favorite of mine. Perhaps when I actually make my long-promised list it may even rank higher than some games I have given a 10/10. Guess that opens up the debate of what warrants a spot on such a list). Geez, I love that game. Not to mention it marked David Wise’s return to composing games after an extended hiatus, and of course it’s audial heaven. Sad to see Super Mario’s World and 64 ranked (relatively) low on your list. But I’m repeating myself at this point. Aside from the lack of plumbers, necktie-wearing apes, and fat-rolling/sun-praising knights, it’s hard to argue with the games in your top 10. Breath of the Wild has got to be in my all-time top 10 somewhere. As much as I actually really like RDR2, BotW is still easily the best open-world game I’ve played. Oh, that’s fine. This is a pretty stressful time of year. If you’re going to post long comments, feel free. And thanks! I’m glad you’ve enjoyed these writings that much. I kind of think the sequels failed to be a worthy follow-up to Yoshi’s Island partly because it was such a strong debut installment. Mario, Metroid, Pokémon, and Fire Emblem all had middlings debut installments that, in retrospect, come across as half-formed versions of their sequels. Yoshi’s Island doesn’t have this problem; it emerged fully formed with so many unique mechanics that it would be difficult to make a sequel without making it the same, but more or not like the original at all. I may end up checking out Wooly World and Tropical Freeze in the meantime, though my Wii U tablet didn’t work the last time I tried to use it (it wouldn’t even charge when I tried to do so). In the meantime, I think you should give OneShot a spin; I think you’d dig it. Yeah, Breath of the Wild felt fresh even after I was burned out on open-world games. 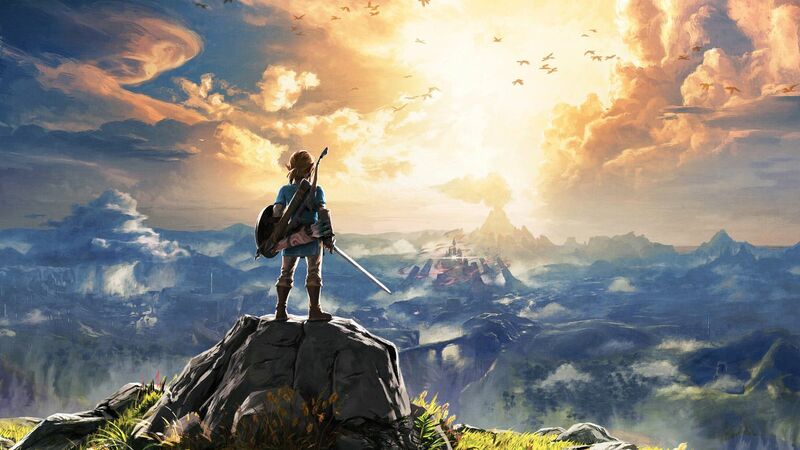 Western AAA developers seem to have an unsaid checklist of what to put in an open-world game; the Breath of the Wild team approached the genre from an outsider’s perspective, which allowed them to add things Western developers had long since abandoned (i.e. boss fights), fixing many of the genre’s shortcomings in one fell swoop. I saw one Nintendo fan insinuate that Breath of the Wild was no different than any other open-world game out there, but that’s not true at all. I liken you to Edge magazine when it comes scores. You are more strict with ratings, or rather more sensible than other publications who consider 8/10 to be an average grade. I myself am very generous, but then again using a five star system gives less wiggle room for marks. You showed my the light on how good Breath of the Wild is, but alas I never beat it. I guess I need hand holding, because open world titles are things I rarely finish. That’s why I haven’t bothered to buy the latest Red Dead. I’m tempted to give Oneshot a go, based on what I have read here. Sounds good and isn’t a big time sink. In hindsight, I don’t really get how some publications are so liberal when it comes to handing out 9/10s. It basically makes the other numbers worthless, and there really doesn’t need to be that many numbers dedicated to bad/mediocre games. I’m glad I was able to show you how good Breath of the Wild is and I hope you revisit it some day and see all it has to offer. Yup, OneShot is a compact experience with no filler; I think you’d like it. Well, congrats on getting to 150+ reviews. That’s a massive accomplishment. Also, I’ve been feeling that I’ve been needing to get myself Prosecutor’s Path since you first reviewed it, and it’s placement on this list is only stirring that up more. Ah, my schedule’s not going to like this. Yes, do whatever you can to check out Prosecutor’s Path. I guarantee you’ll be impressed. When I finished it, it quickly became one of my all-time favorites. And thank you. You’ve been there every step of the way, and for that, I’m truly grateful. I love how organized you are! 🙂 I always enjoy reading your reviews! Thanks! I’m glad you’ve been enjoying them this much.